Wine World of Hit and Miss! I take care of things – I really do. 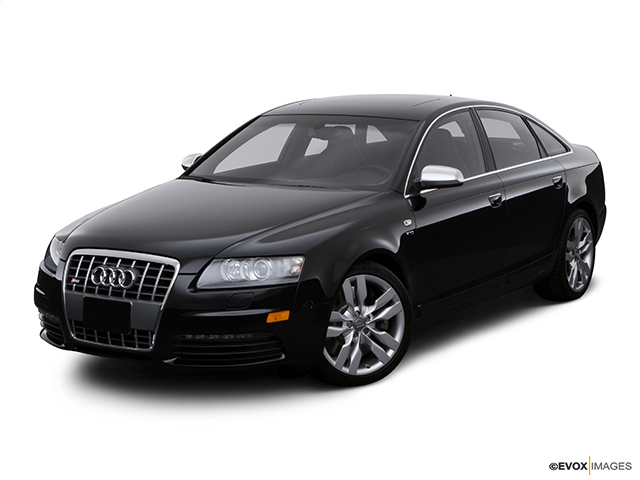 When I turned in my lease car after three years of Audi driving pleasure, all the leasing company could get me for was one small marginal, yet buffable scratch. Funny thing is, the lease return inspector said “your car is basically perfect, but if I don’t write something up, they won’t think I am doing my job!” As I have fifty years behind me now, less and less takes me by surprise. The inspector did ask me “how did you miss getting door dings?” I let him know my simple, yet effective strategy in a nutshell. After all, it’s nice to have a nice car, but it’s nicer when it stays that way for as long as possible. 1) Don’t ever park next to 2-door cars as their doors are longer and heavier. 2) Don’t park next to trucks. Usually folks that have trucks also lug around larger items and they can accidentally hit your car. 3) If you are in a spot tighter than you like between two cars, park closer to the car to the left to hedge the bet. It is 100% certain that the care came with a driver, but only 30% or less of the time is the driver accompanied by a passenger, necessitating the need. 4) Stay out of parking lots that have tried to squeeze out every space, but use ones like Costco, where volumes of everything, including individual parking spaces are plentiful. 5) Beware of shopping carts and whether you are uphill or downhill. I try to find a place where there is a sole cart that plan to use as my own and ensure I am not in a low spot where carts tend to become self-propelled. This is my world of ensure that I MISS those opportunities to ding up my ride. But when I want to increase my hit-to-miss ration for selecting wine, I go to winematch.com. Here’s is why. 1) I am keenly aware that WineMatch.com gathers a ton of data on wine. 2) I know that multiple sensory and chemistry data are combined, giving a more balanced look at all the wine characteristics. 3) I know that they match on 16-20 points and no one else even comes close. 4) WineMatch does not employ a single number system and recognizes wine is a multi-faceted product and represents it as such. 5) I also know that wineries that show their wines on WineMatch acknowledge there is a better way to represent wines. 6) Wineries have deals on WineMatch.com and it’s not only a great place to connect with the winery, but you now the winery stores and ships the wine properly. 7) I like receiving packages. Ok, maybe the “receiving packages” thing is something that only I like. As a young kid, I remember waiting for the special cereal toy that I would get after coercing my parents to buy excessive boxes of cereal. All this so I could get something special like a submarine powered by baking soda and vinegar. In the wine world as in the real world, we look to increase our hit-to-miss ratios of what we like. As we get older, it gets more important as our time and money becomes more finite. You don’t see a movie with an actor you don’t care for more than twice before you go “enough already” and move on. UYou know what you like and when you ADD TO FAVORITES at WineMatch.com, we know what you like as well and we promise to “only send you wines like wines you already like”. After all, if you find a deal on something that you don’t end up liking, is it really a deal? Both the Canadian and US standard railroad gauge (distance between the rails) is 4 feet, 8.5 inches. That’s an exceedingly odd number. So why was that gauge used? Because that’s the way they built them in England, and the US railroads were built by English expatriates. But why did the English build them like that? Because the first rail lines were built by the same people who built the pre-railroad tramways, and that’s the gauge they used. Okay, why did they use that gauge then? Well, because the people who built the tramways used the same jigs and tools that they used for building wagons, which used that wheel spacing. Okay! Why did the wagons have that particular odd wheel spacing? Well, if they tried to use any other spacing, the wagon wheels would break on some of the old, long distance roads in England, because that’s the spacing of the wheel ruts. So who built those old rutted roads? The first long distance roads in Europe and England were built by Imperial Rome for their legions. The roads have been used ever since. And the ruts in the roads? The initial ruts, which everyone else had to match for fear of destroying their wagon wheels, were first formed by Roman war chariots. 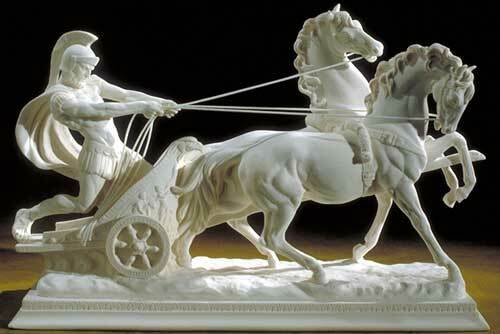 Since the chariots were made by Imperial Rome, they were all alike in the matter of wheel spacing. The United States standard railroad gauge of 4 feet, 8.5 inches derives from the original specification for an Imperial Roman war chariot. So, the major design feature of what is arguably the world’s most advanced transportation system was determined over two thousand years ago by the width of a Horse’s Backside! Now moving to wineries and if you’re still with me, a lot of things about the way wine was made dating back to Roman times makes sense. What they might have given for glycol jacketed fermenter or an automatic destemmer or a bottling line! Wine is a product whose roots have not changed, but the automation and improvement of the manual process has taken wineries into many new directions with many improvements in quality along the way. But there is one thing that needs to change – it’s in the way wine is marketed. Remember that in Rome the marketing of wine was never an issue, largely because the water was polluted and used to carry away waste and otehr things. So we largely have clean water to blame for our wine marketing woes of today! It’s about what we call “total marketing” or the “sum of the pieces”. There’s marketing on the wine bottle as remember that one of four and often times more, folks choose a wine by its label if you are placing product in the retail space. Then there’s marketing to those who already love you, your loyal wine clubs. Next has to be the social media component, but there is a twist here and I will try to put it as succinctly as possible. It’s not THAT you use social media, it’s HOW you use social media. We’re talking blogs inclduing WordPress, Tumblr and others, facebook, twitter, Google+ and more recently pinterest and others. The budget to spend time on these should come directly from a reduction in other marketing areas, and then you can brag that you’re GREEN! Sometimes I actually wonder what consumes a greater carbon footprint, a ream of paper or the manufacturing and disposal of a computer, which seems to need replacing at an increasingly faster pace as obsolete seems to happen almost as soon as I boot it up! At the end of the day, there are two things you need to consider. “Who are you as a winery?” is the first one. What are the things that make you stand out or make you different? What interesting life stories do the founders or the founders’ relatives have to tell? What is your wine specialty? What can you teach us about wine? And lastly, make me a deal I can’t refuse. My wife did and it worked for her, though “some grapes may have been harmed in the process“. The bottom line is as consumers we all need to feel like we belong and you are our friend! Like so many of you, I love deals on wine. I am stumped at times when a basic principle is lacking from the structure of most of these deals from the consumer perspective. That principle is “Keep it Simple So I Know What I’m Getting for What I’m Spending“. Yeah, it’s a bit of a mouthful, but it’s entirely true. Stay with me on this one. I see deals like “6 bottle for $99 plus shipping” or “25% off plus shipping” or “15% off a mixed case”. These types of deals turn me off. Here’s why. I need to know “What I’m Getting for What I’m Spending” in a simple equation. I don’t come home after 10-12 hour days to take out a calculator to figure out a winery deal by totaling up the cost for the wine, the percent off including different prices for a mixed box, tax, and shipping costs. I just want to know exactly what I am getting for my money. It’s really that simple. Here are a couple examples of deals I would bite off on. First one is “6 bottles of our 2008 Cabernet Sauvignon including Shipping to the contiguous 48 states for $149 plus tax“. You see, we’re all used to adding tax when we go to Costco, right? So this is no more thinking than usual. I know exactly what I am getting and for how much. Here’s another easy deal “A case of our 2011 Sauvignon Blanc including Shipping for $99“. We can do the math on tax, but wineries, please don’t create deals that have us look up retail, take a percent off of that, hunt down what shipping will cost and add tax. This is way too much work fo fill my waiting glass. I want your best and simplest value proposition right out of the gate because I thirst for wine. Remember, I too had a long day and if you have a deal I can put my arms around as easily as my loved ones, I’m yours and I might even ‘friend‘ you. Otherwise, it’s “deletesville” for your proposition. Folks, I help with my kids’ math, I do the banking, run a half dozen servers, review my paycheck, calculate taxes for home and business, and whenever I buy a high-ticket (> $1,000) item, I do the math as tax and delivery may cut into the value of the deal. So please don’t make me beg like a dog to get the straight scoop, nice and easy! I’m just not THAT into math! But I am into drinking great wine for a great price. So show me something that makes it easy for me to say “yes“. Remember, we want a deal, but we’re a lot more open if wineries keep it simple! Woof! 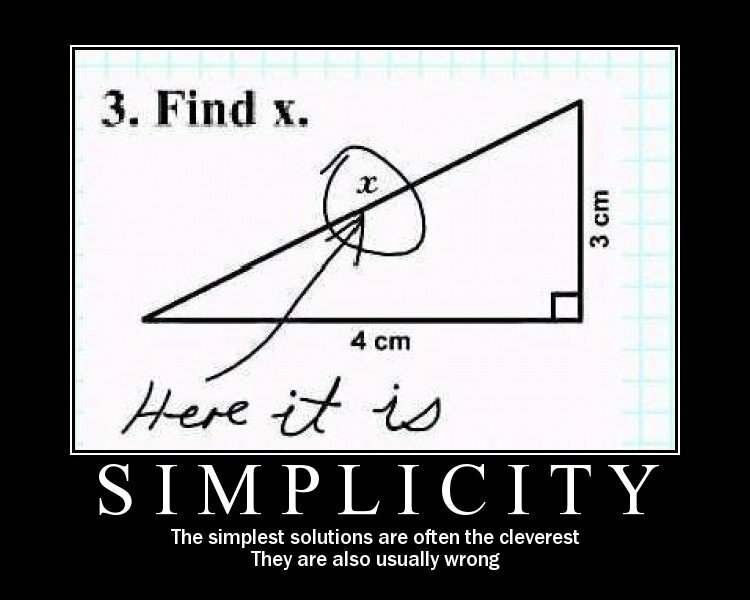 There ‘s a beauty of simplicity and logic that wineries should apply here and consumers will love you also! The beauty lies in three facets of the QR code. The first one is that unlike bar codes, it’s free and they are a cinch to create. Secondly, it ties to a web URL. And third, it gives you ultimate flexibility. You ask, how so? Well, here’s a spin that if you have not thought about it, you need to. It’s all about a wine’s annual lifecycle. Stay with me here. Let’s say you have a winery called DanEmi Winery. You have a web site, http://www.danemiwinery.com . You have three wines in current release, a 2009 Sauvignon Blanc, a 2008 Cabernet Sauvignon and a 2009 Viognier. You’re quite pleased about the quality of your wine offerings, but want to better connect directly with consumers to move product and increase brand Awareness and identity. How exactly would you do that? Here’s a new spin on QR codes that you’ll love that will also engage consumers. 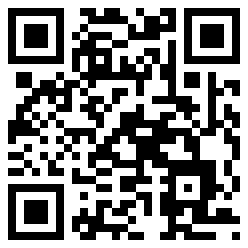 Step 1 – Create a QR code that ties to the wine, but not your website. Key point here, folks. Let’s use your 2009 Sauvignon Blanc, for instance. So, as an example http://www.danemwinery.com/QR/2009SB.html would be the link. Step 2 – As this is a current release, decide where you want to send folks. This is called the beauty of web link redirection. Here’s where the flexibility comes into play as well. Your options are a) to your homepage, b) the link to see information on the wine, or c) to buy the wine. The salient point here is to have the link separate from your website to allow maximum flexibility. So you redirect the link in Step 1 to point to where you want it to go. That was simple – and sweet! Step 3 – You wake up one morning and decide you need to move cases of wine quickly as a vineyard replant has come into your radar as future demand is looking brighter than a summer morning. You decide to have a case sale. 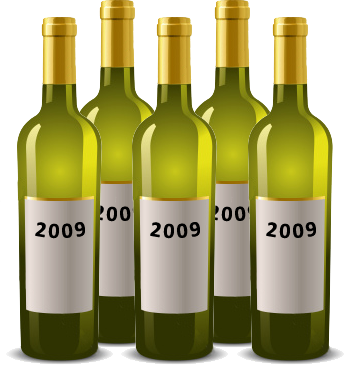 Step 4 – The case sale on the 2009 Sauvignon Blanc was such a success, you sold out! Now you have more cool choices. You can now take the QR code you created in Step 1 and you have choices of what you can do here. THIS IS A REAL OPPORTUNITY. Here’s how to best use the QR code by repointing the URL in each of these three scenarios. Scenario A – You have product and don’t need to promote to move more. Deal to Consumer : Perhaps free shipping on 6 or more bottles would entice along with information on the wine might make sense. Scenario B – You don’t have the next release of Sauvignon Blanc released, yet still need to move product. Deal to Consumer: Here, you present a deal knowing that the QR Code is Step 1 is what was initially scanned. Maybe a deal on a 3-pack to the contiguous 48 might make sense. Scenario C: – You have the next release of Sauvignon Blanc available. Deal to Consumer: And because you have your hands on the 2009 Sauvignon Blanc, we’re going to give you free shipping to the contiguous 48 states!” So the deal is three bottles for $60 total. The value proposition is there! And About that Deal. Remember folks, when presenting deals, folks like a deal with a total price, like $75 for 3 bottles– shipping included. If you say 15% off, this creates additional steps and math which may prevent you from securing the deal. Keep it simple, that’s the key! In summary the QR code, if used properly, presents an opportunity and a positive experience for both consumer and winery. Winery Data Normalization and Syndication – It’s About Time! As we go around the country with our WineMatch Road Show, we hear a lot of the same input from many wineries. With some twenty plus stops under our belt, the numbers and amount of input are both significant and clear. And once we hear the same thing from multiple wineries in various regions, it validates the need for additional functionality to better serve domestic wineries. Although most wineries love our system at WineMatch, they dread the thought of having to input into yet another system – and I don’t blame them one iota! Every time I buy something online, I am inputting the same information into everybody’s system. The question begs, “Why can’t I create a data source, then share it at my discretion? ” Well, you can and you will. Let’s review the two governing concepts here. First thing to understand is ‘data normalization’. This simply means that instead of a piece of data, say ‘Wine Fanciful Name’ like Flora Springs’ Trilogy‘ being input into a number of database tables, it resides in single database table and only in that table. All other areas that need this ‘Wine Fanciful Name’, simple query the table for the name Trilogy. If it’s wrong, it’s wrong everywhere, but if it’s correct, it’s correct everywhere. Also bear in mind if it was wrong, you would only have to fix it in one place. 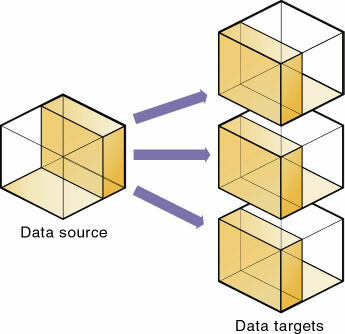 Normalized data keeps databases fairly tidy and prevents data inconsistencies, which are called “Dirty Data”, which prevent data from being used by multiple sources with true integrity. 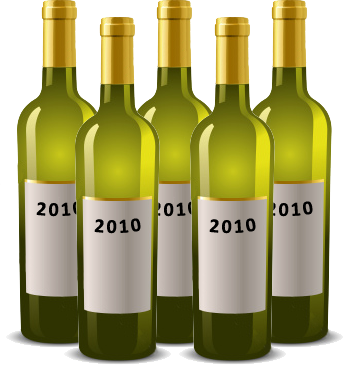 At WineMatch, data syndication is a “this year” thing that has risen up on our list, just behind a couple other items. As we collect data on wineries, wines, events and deals, this only makes sense, but the key is to ALWAYS allow wineries to control their own data. What if when sharing data with us, a winery could also decide to share with others? If you want to see a successful data syndication model, the Real Estate MLS (Multiple Listing Service) system rises to the top. In this example. one or more persons gathers and enters data from multiple sources for the world to see and allows distribution according to specificity of local demand and company information distribution policies. This reality is just around the corner. In fact, the data that folks have been entering into our system will be available for them and other sources wineries authorize. Allow me to explain. We call it WineMatch Information Fact Exchange, or WIFE for short. My wife likes this acronym! A winery will soon be able to build their website, and pull their formatted variable data directly from WineMatch, so we can largely leverage our ‘back end’ for the benefit of wineries. A winery wll also be able to authorize some or all data to be shared with some or all folks. When it comes to your variable data, the winery needs to be in control so it does not find its data in the wrong hands! We’re not just expert at wine analysis, we’re also expert on the data and security end of things as well for more than twenty years. WineMatch runs in a High Availability data environment so you’ll always be able to count on us! In summary, simply envision inputting data into one system, and then sharing it out. Everybody gets the exact same data via XML (Extended Markup Language). After all, sharing is good for all and saves folks time and money, but it has to be sharing of data that benefits all to keep commerce flowing like a great glass of red! Speaking of that glass of red, I must be going! 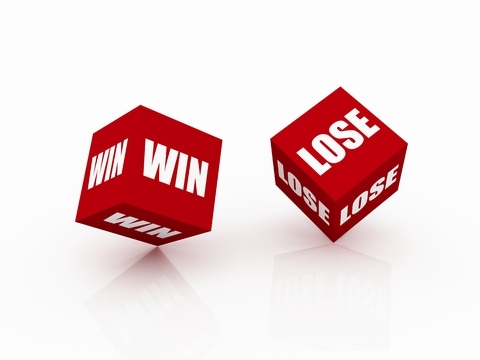 Any time you have a system with clear ‘winners’, like wine over 90 points, you have also created a system of ‘losers’. It’s double-edged and helps some and hurts others. The perception of 90 points and greater is a truly a shallow one as I could not even begin to count the great wines I have enjoyed that fell under the 90-point threshold. Unfortunately, perception is reality when it comes to a consumer’s willingness put down his or her hard-earned cash in return for a winery’s goods. But the consumer is confused. Let me explain exactly why and the way out, as a problem without a solution is like, well, Congress. And we all know where that’s taken us! I liberally apply this theory to what I call the “middle 80″. What I do here is exclude the first 10 percent of folks that are perfectly happy drinking box or jug wine, and really aren’t actively seeking a better wine experience. We also respectfully exclude those that already are expert in their searches and not only know exactly what they like, but know where to find it. These two groups of folks aren’t the ones that need the help – it’s the rest of us! 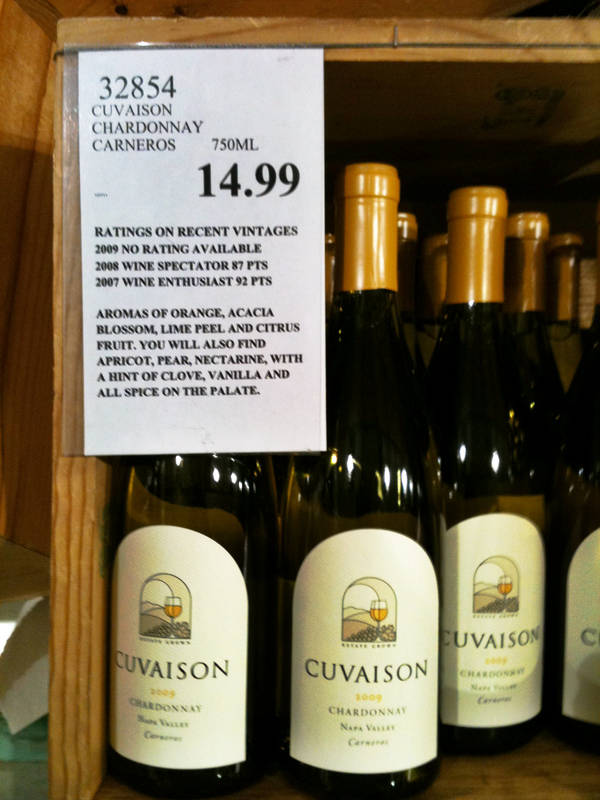 In this first example, the wine being offered for sale is a 2009 Cuvaison Chardonnay from Carneros (on the Napa side). There is absolutely no reference to this vintage year, and there is a 2008 WS rating of 87 and and a 2007 WE rating of 92. Folks, let me be clear here. What information is here tells you NOTHING AT ALL about the wine you are considering purchasing as the wine for sale is of the 2009 vintage. In simple terms, two things are seriously wrong here. First is it lacks ANY RATING for the vintage that is being offered for sale. Secondly, you are using two differerent rating outfits for the two preceding years, which also renders the data less credible. Also, just whose comments are those underneath it? This next example is a Louis Martini 2008 Cabernet Sauvignon. Here again, nothing on the wine vintage, but at least here we have a WA record of the last two years, though past performance is never a guarantee of future results. Again, I don’t know from where the comments originate. 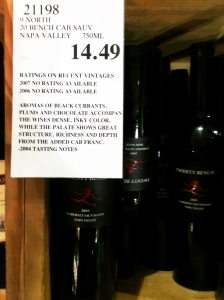 My fear is folks see the 90 points, and go for it not realizing that wine is a vintage-sensitive product. Also understand this isn’t about Costco as much as it is about how wine is represented in the market place. The hope here is that better tools, like WineMatch’s Wheel, are allowed to help folks select a wine. A simple vintage chart for major grape growing regions would be more helpful than ratings alone, but even that has its imperfections as with proper vineyard management, great wines come out of challenging years! If one or more of the rating outfits’ numbers are visibly absent, one of two scenarios exists here. The first scenario is they simply did not rate the wine. The other scenario is that they rated it lower, so that gets conveniently omitted from the store shelf-talker. It’s important when buying things to get the truth and the whole truth, for that is what ultimately successful decisions are based upon. It’s truly not apples-to apples as these raters are all different outfits all with a different way of doing things. Therefore, it would make infinitely more sense for retailers to contract with one of these outfits to have some degree of consistency. Also to me, it’s important to know when it was rated as a point of reference so I know if I am buying it one month or two years after the rating. Knowing this enables me to make a judgment call of the aging effect in a retail store environment. Wineries care for the wines differently as it’s considered much like offspring with the exception it does not put the wine through college! So let’s say you give up on the multiple-rating outfit model as shown previously, and adopt BevMo. Here, it’s mostly the world according to Wilfred Wong, yet another rater who is also a hired tongue for BevMo and actively participating in wine selection and bottling/branding operations as well. 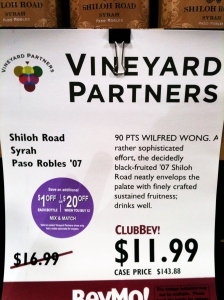 Not sure many BevMo “Winery Partners” get scores below 90 so this does not appear too objective. This feels a bit like the fox watching the hen house. The bottom line here is simply that if you own both sides of a process, there is simply too much room and not enough of a distinction for checks and balances to ensure that true objectivity is maintained. I simply can’t buy into this model for that reason alone. 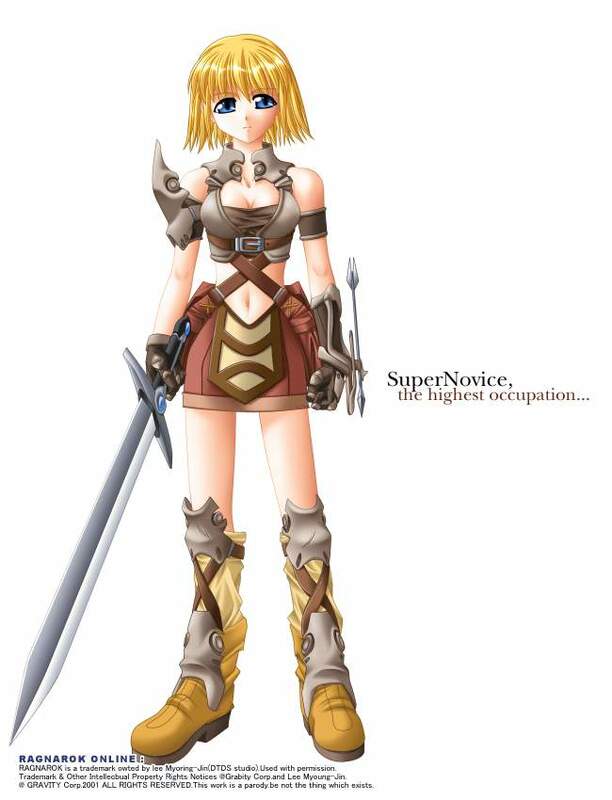 By the way, you probably guessed it – the consumer was yours truly in 1997, before I started on my quest to create a better system. 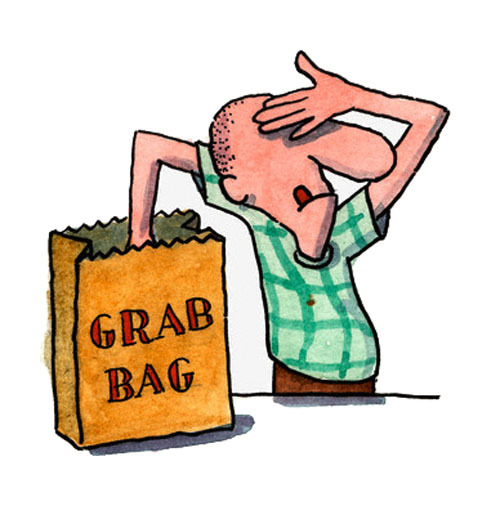 I remember being a kid and being excited when I first heard the word “grab bag”. It was cool as it contained things of random interest, some of which were new to me like a “slinky“. As I got older and knew more, I wanted things that were more in-line to what I found to my liking. And now at the 50 age mark, a grab bag feels more like a negative unknown, kind of like a federal budget. And I digress. With wine, you want to know that what you’re going to get is in line with your likes. Cost is important. However, variance of major characteristics is as well and regardless of cost, you want pleasure and value for your newly-printed dollar. It’s really that simple. Variable Costs – This is all over the page as wine goes from $2 to $300 pretty quick and some are even more. So let me get this straight, I can spend $20 and love it and $100 and dump it down the sink? Being a logical guy, it’s gotta be about value. I compare this to buying other consumable items and compare cost and benefit. At some point, this needs to makes sense and the hope is that I will very likely enjoy this. Otherwise I won’t be repeating this experience. After all, I can spend $10 on a sirloin cut of beef, cut it thin, spice it and voila – every time! Carne Asada for at least four to six folks is my kind of value. So with wine, we have learned to set a basic cost threshold, say $35, and try to find the best wine for that amount or less. This is the budget survival strategy for wine drinkers. It can then become a more manageable experience, yet there’s still an element that leaves you wanting better tools to increase your hit-to-miss ratio as none of us enjoy wasting time or money. Inconsistent from Year-to-Year – Look, if I buy a Sam Adams Boston Lager this year, and order one a year from now, I know EXACTLY what it is going to taste like. With wine, I could buy a 1996 bottle for $40 and have a great experience, and buy the 1997 bottle of what I think is the same stuff, and be extremely disappointed – not to mention $40 bucks out. Can you say ‘ouch‘? Vintages vary greatly in quality, fruit concentration and yield as mother nature always has a hand or two in it. The art is in the winemaker being able to manage the fruit, and processes including fermentation, racking, aging, blending and bottling to present a wine as highly representative and pallatable as possible, year-after-year. Talk about a tough job! At least the Cake Boss can control the quality and quantity of the ingredients! Alcohol Content Varies Greatly – You almost have to read the label completely here as sometimes it’s nearly impossible to find. Just look for something ridiculously small that appears almost hidden. Domestic wines vary from about 13% to nearly 18% on some wines, and Zins are usually a little higher than most. Folks, this is an alcohol variance of a whopping 40%, so watching how much you drink at what alcohol content over time is always a good idea to be safe here. 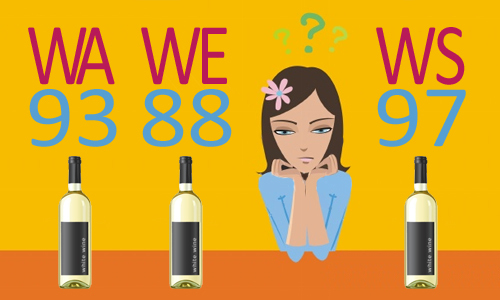 It’s a good habit to look at alcohol content while buying wine regardless as some of us find the experience less enjoyable as the alcohol content rises as the wine can be perceived as being ‘hot’. And yes, there are apps for the Droid and iPhone for calculating BAC (Blood Alcohol Content) just to be on the safe side of the road and of the law. Labels Are Confusing – It’s a fact that about 25% of folks select wine by the bottle and label aesthetics. 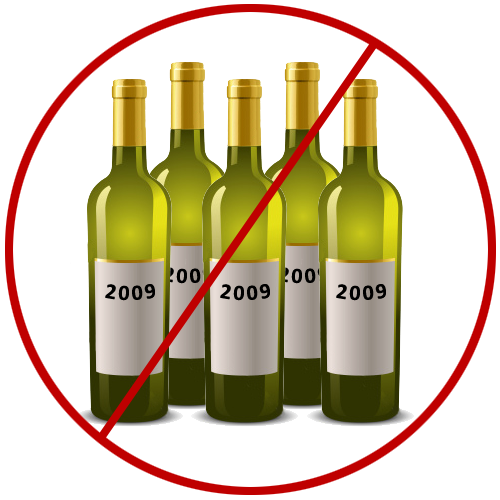 The domestic American label must contain certain amounts of information, like alcohol percent and “Contains Sulfites”. But the labeling laws are confusing at best. For instance, if it says Cabernet Sauvignon, it need only contain 75% Cabernet Sauvignon. If it says it’s from a certain area, only a certain percentage needs to be from that area. And it goes on and on. And the foreign ones get even more confusing, with AOC on the French side and DOCG on the Italian side and more classifications ad nauseam. For more on domestic labeling laws, click here for a short synopsis from our good friends at the TTB (Alcohol and Tobacco Tax and Trade Bureau). Meaningless Ratings – Exactly who are they and why are they here? We have Wine Spectator, Wine Enthusiast and Wine Advocate. For good measure, we’ll toss Wilfred Wong into the ring, the BevMo guy. The real challenge here is that no two rating outfits seem to agree on much when it comes to wine. This is, whether it’s an 88 or a 92, it really doesn’t tell you if the characteristics are those you find favorable. At best and for most consumers and many wineries I have spoken to, it’s tantamount to a crap shoot at a frustrating level to the point that folks will simply give up. Then who will buy the wine?